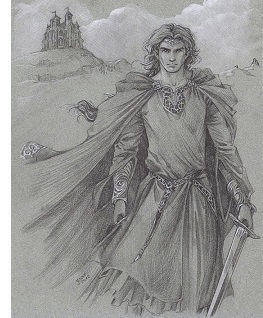 Denethor - The third branch of Elves, which played only a minor role in the First Age were the Nandor (their descendants would play a greater role in the Third Age). The first leader of the Nandor was Lenwë. The Elves who would become the Nandor began the Great Journey with Oromë, but stopped east of the Misty Mountains and settled there. Many years later, a group of Nandor, under Lenwë's son Denethor, entered Beleriand and were reunited with their Sindarin brethren.